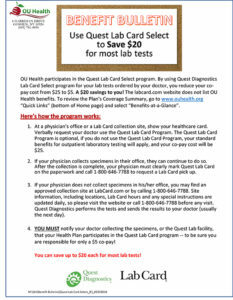 The OU Health Plan utilizes, through CVS Caremark, the Mail Order Pharmacy for its mail-order services. You can order your maintenance medications from home by telephone, mail or on-line, or at your local CVS drug store. Members only need to register one time with Envision Mail Order Pharmacy to start utilizing the mail order option. Once CVS Caremark Mail Order Pharmacy receives your prescription(s) and completed Patient Profile, you can expect to receive your medication (s) within 14 days. CVS Caremark Help Desk (24/7) at 844-345-2792.